Here is another riverside heritage property in well-heeled Hamilton. 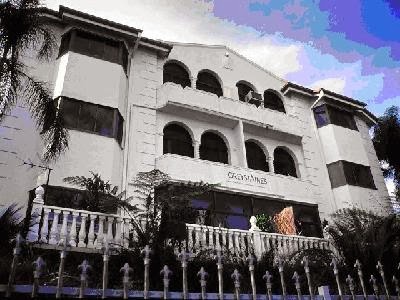 This time it is a building that was purpose-built as a block of six flats, although it has now been converted into a single residence. The building is named Greystaines, and here is a current photograph. 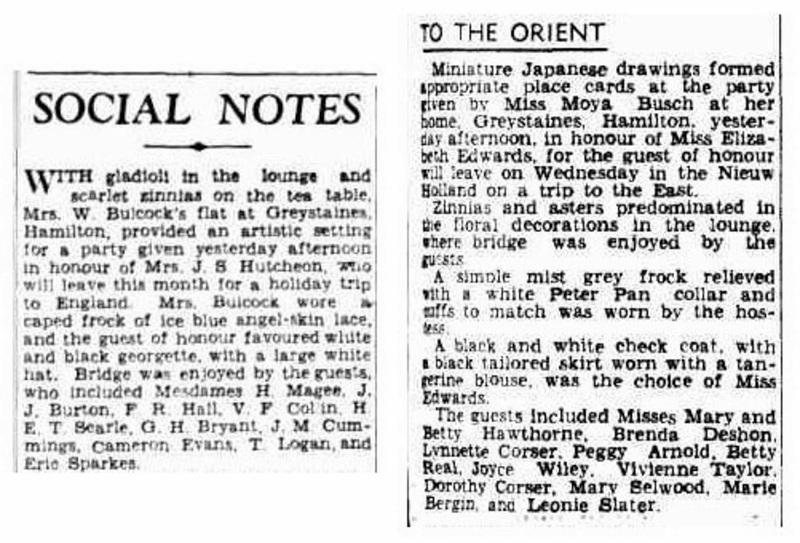 Greystaines was built in 1934 for a Mr & Mrs Sydney Dove, and it was a Mediterranean design by architect George Rae. Amongst Rae's other commissions were the refurbishment of the Cremorne Theatre at South Brisbane at the time it was being reconfigured for "the talkies", and later the redesign of the Astor Theatre (now known as the Village Twin - more on that in a later post) at New Farm. 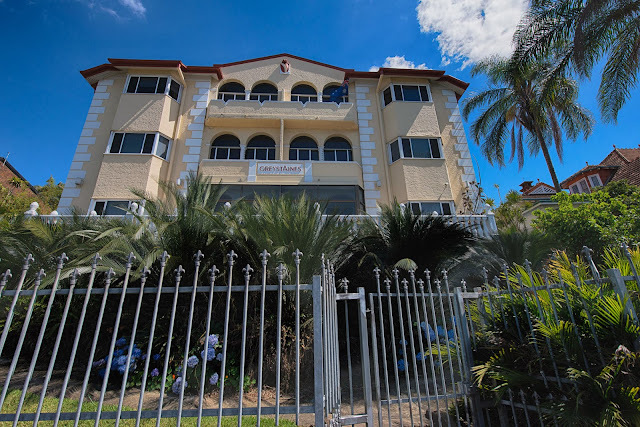 The relatively upmarket area of Hamilton attracted investors between the wars, and in a similar fashion to New Farm, Hamilton became a suburb that attracted people from the higher socio-economic strata of Brisbane's population. 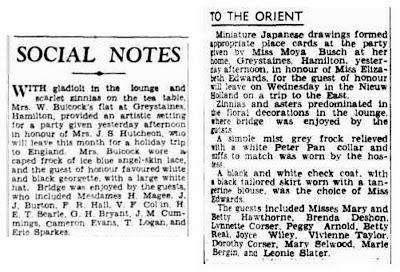 A couple of announcements from the latter half of the 1930s that appeared in The Courier-Mail indicate the type of tenant that inhabited Greystaines. Below is an earlier photograph of the building in a different colour scheme - I think it looks better now.